If you are looking for a shirt with a bit of personality, then Pretty Green shirts are your answer, and Mainline Menswear have brought them altogether to make your search a lot easier. The bold patterns can be found in short or long sleeved designs and include paisley, check, polka dot and many more patterns to suit any occasion. If subtle is more your style then you can also find classic, plain shirts with simple branding, in white, black and blue chambray. 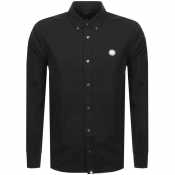 You are sure to stand out in a crowd wearing the trademark patterns found on a Pretty Green shirt. Need to finish your Pretty Green outfit? Check out the full collection here.